Beirut39 inspired a fresh look at modern Arab literature. A collaboration between the Hay Festival and Beirut World Capital of the Book 2009, the project brought together 39 of the best known and loved writers of Arab heritage under 39 years of age. In Beirut the East, the West and the Mediterranean combine to produce a unique cultural mix. The selection and celebration – through a festival and an anthology of stories/extracts – of the most promising 39 authors under the age of 40 of Arab heritage. Beirut39 was a collaboration between Hay Festival and Beirut World Capital of the Book 2010. 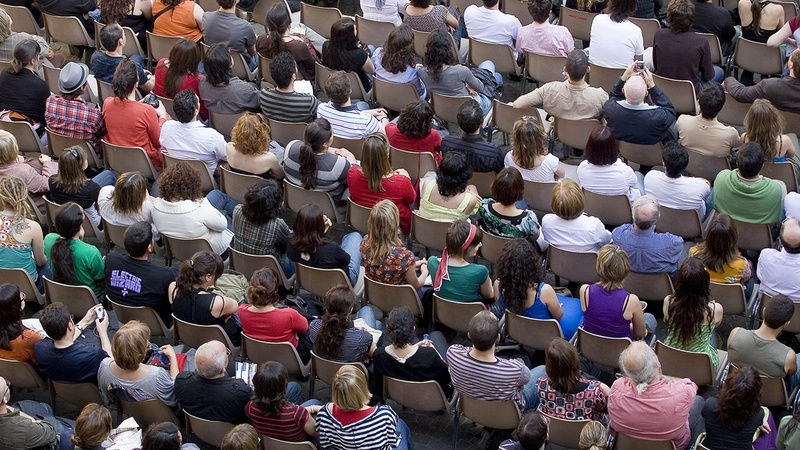 The meeting of these 39 authors was the result of a widespread call to readers, publishers, literary agents and authors all over the Arab speaking world to put forward their own candidates. The event was also a perfect occasion to read and debate over contemporary narrative in the Arab world. Hay Festival announced the 39 selected authors at Frankfurt Book Fair on 16 October 2009. What is Hay Festival's ‘39 Project'? As one of the leading literature festivals in the world, Hay Festival has always been interested in highlighting new talent and has collaborated with the UNESCO World Book Capital project in numerous cities. This title is awarded to a different city every year to celebrate the quality and variety of its initiatives to promote books, readership and the editorial industry. The 39 Project consists of the selection of 39 writers under the age of 40 who have the potential and the talent to define the trends that will mark the future development of literature in a certain language or region. The 39 Project was realized for the first time in Bogotá (UNESCO World Book Capital 2007) and for the second time in Beirut (UNESCO World Book Capital 2010), resulting in both cases in a literature festival in each city with the 39 selected authors from each region (Latin America and the Arab World): four days of literature, debate and the love of books together, with an anthology published of stories/extracts by the authors. Nominations were solicited from publishers and literary critics across the Arab world and internationally. The public were also invited to nominate. The writers were chosen by a panel of four well-known judges – the respected Arab writers, academics and journalists Abdo Wazen, Saif al-Rahbi, Alawiya Sobh and Dr Gaber Asfour. The judging panel was aided by research and specialist knowledge from Hay Festival and Banipal, the magazine of modern literature. Writers had to be born in 1970 or after; and to be of Arab heritage. Writers were required to have at least one piece of work published (fiction or poetry). Writers’ work could be in any language but the subject had to be affiliated with the Arab world. 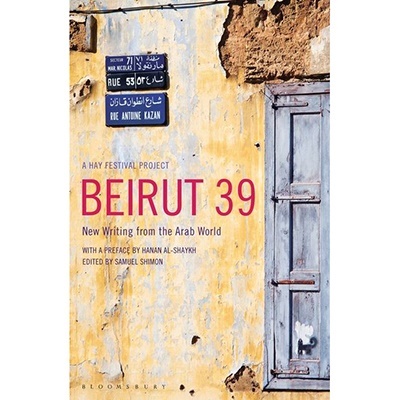 The anthology of pieces by the Beirut39 writers was published by Bloomsbury in 2010 as Beirut39: New Writing from the Arab World. The book aimed to break open to the world the most exciting new authors from the Arab world at a time of growing interest. Initial launch: 19 March 2009 The project was initially launched at the Abu Dhabi International Book Fair (17–22 March 2009). 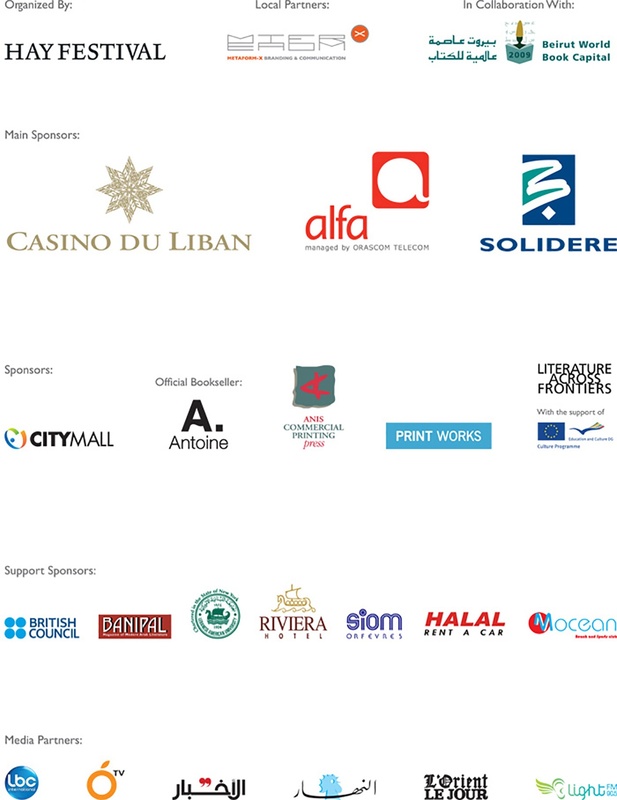 Beirut launch: 1 May 2009 The project was fully launched in Beirut, and nominations for the project were solicited. Announcement of Beirut39 list: 16 October 2009 The announcement of the writers selected took place in a dedicated event at Frankfurt Book Fair on 16 October 2009. Promoting the writers: October 2009–March 2010 The 39 selected participants were promoted in the media and through exhibitions. Beirut39 Festival: 15–18 April 2010 The 39 writers were invited to Beirut for four days, and around 50 events were organized all over the city, in libraries, bookshops, cafés, universities and schools, etc. All events were followed by Q&A sessions with the audience. The events were free and open to all. International events: 2010–2011 Beirut39 continued to figure in a number of international events after the main event in Beirut in April 2010. Events took place at Luminato, the Toronto Festival of Arts and Creativity in Canada; at Bozar, Brussels Centre for Fine Arts in Belgium; at Manchester Literature Festival in the UK; at the Chapter & Verse Literature Festival in Liverpool, UK; at the AM Qattan Foundation in London; at the Edinburgh International Book Festival; at the Arabic Arts Festival in Liverpool; and at MOMO Literary Salon in London. Activity continued in July 2011 with a programme of free Poetry from the Arab Spring events hosted at Shubbak: A Festival of Contemporary Arab Culture at City Hall in London. Beirut19 was a further project inspired by Beirut39, managed by IEA (the International Education Association) and produced in cooperation with Hay Festival, which aimed to encourage the debate of important issues between young Arab writers, as well as allowing them to share and cultivate their talent. Beirut19’s main objectives were to engage Arab youth in critical discourse on power, identity, globalisation and Arab culture, to promote literary expression and encourage young people to read and write, and to explore young Arab talent. To participate in this project, students submitted short stories, essays, analysis, critical theory and journalistic pieces between 500 and 2,500 words on one of the following themes, ‘Power and identity in the 21st Century’ or ‘Arab culture in a globalized world’. Students had to be of Arab nationality and also to be residing in an Arab country. They submitted their entries via their schools or institutions. The submissions could be in English, Arabic or French. Students between the ages of 12 and 19 could enter and were grouped in two main categories, Juniors (aged 12–15) and Youth (aged 16–19). The top four finalists (two from each theme and one from each category) were invited to participate in the Beirut39 Book Festival in April 2010, and were featured in the Beirut19 publication which was launched at the iEARN International Conference in Canada in 2010. The jury consisted of prominent figures in the fields of literature and education. The project was launched in October 2009 alongside the announcement of the Beirut39 winners. The project was directed by IEA, and managed in close collaboration with iEARN-Arabia and Beirut39. IEA is a Lebanese non-profit organisation founded by Lebanese educators committed to the development of global partnerships in education based on the effective use of Information Communication Technology (e-Technology) for Lebanon and the Arab world.